Irving Picard&apos;s legal campaign to turn Bernie Madoff&apos;s fraudulent claim to have managed $65 billion from one of the great financial fictions into an actual $65 billion took a bit of a hit today. 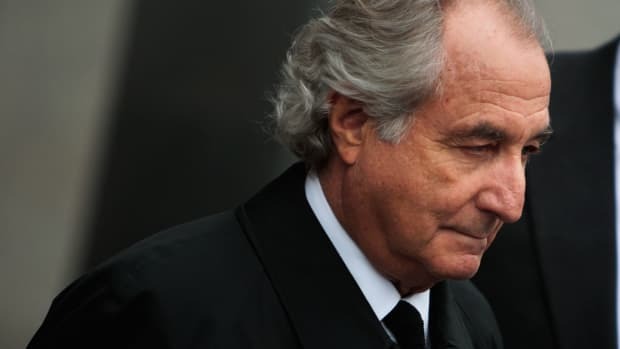 Banks including JPMorgan Chase & Co. and HSBC Holdings Plc (HSBA) can’t be sued by the Bernard Madoff firm’s liquidator for $30 billion because he is tainted by the con man’s fraud, an appeals court ruled. Madoff trustee Irving Picard appealed rulings barring him from demanding damages from banks that allegedly ignored Madoff’s fraud for the sake of fees. Federal district judges Colleen McMahon and Jed Rakoff, both in Manhattan, had said Picard can’t accuse the banks of fraud because he’s the trustee for a fraudulent enterprise, citing a legal principal called in pari delicto. “Picard stands in the shoes of BLMIS and may not assert claims against third parties for participating in a fraud that BLMIS orchestrated,” according to the ruling by three judges including Chief Judge Dennis Jacobs…. Picard is reviewing the decision, spokeswoman Amanda Remus said in an e-mail. He has about $4 billion of other claims against the banks that he is “vigorously” pursuing, she said…. Picard has so far paid investors almost $4.8 billion from the Madoff estate’s customer fund, out of about $17 billion of estimated lost principal, according to his website. Mostly by settling earlier lawsuits against individuals who allegedly knew of the fraud, he gathered a total of about $9.3 billion to compensate approved customers of the jailed con man. The Securities Investor Protection Corp. has paid customers about $705 million.